These pretty earrings would make the perfect stocking filler for handmade jewellery fans. 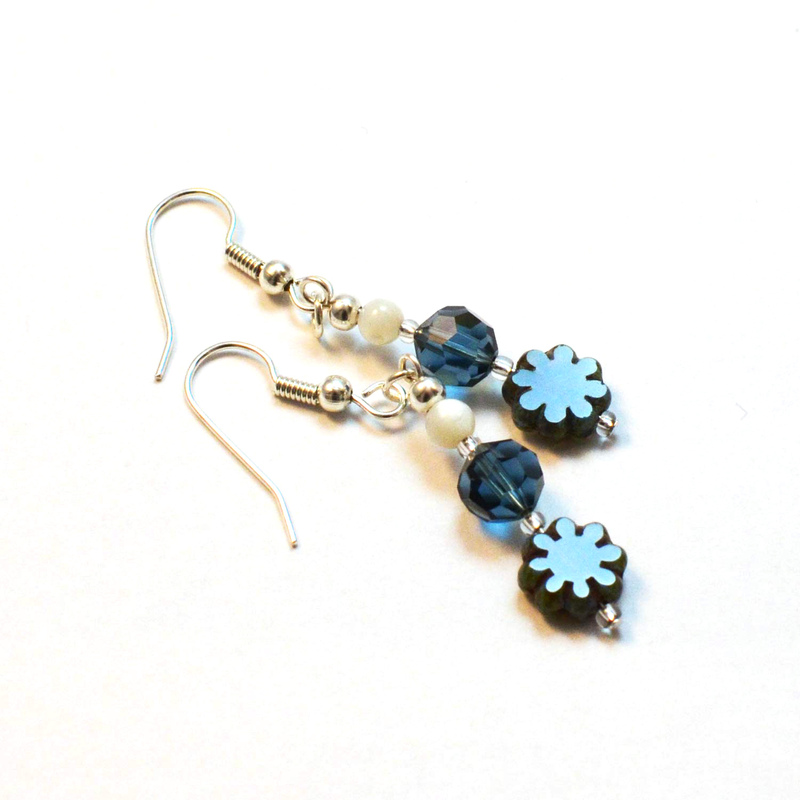 A unique mix of semi-precious mother of pearl, vintage blue crystals & new glass stylized flower beads. I always use nickel free earring fittings and these are silver plated.